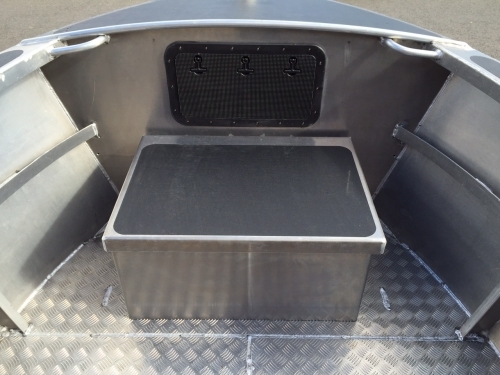 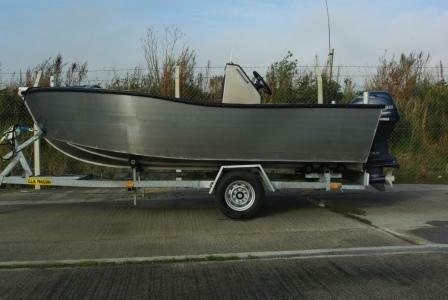 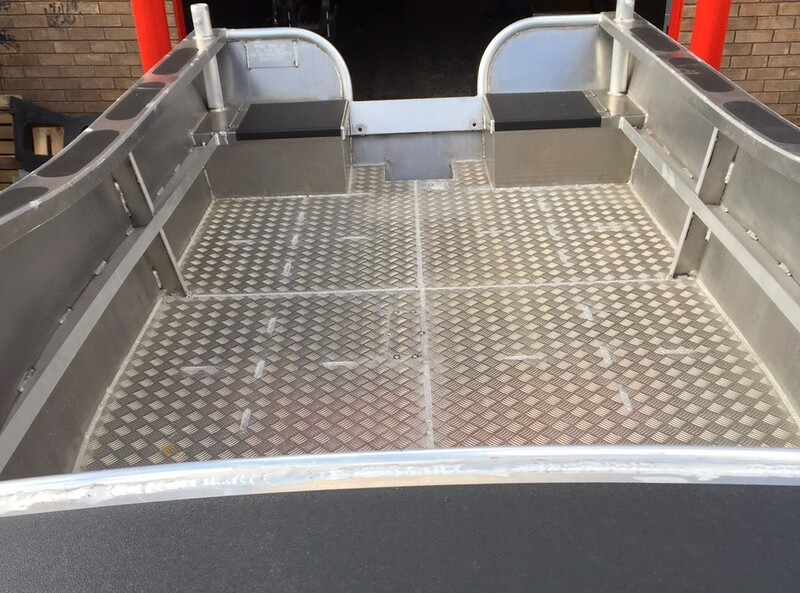 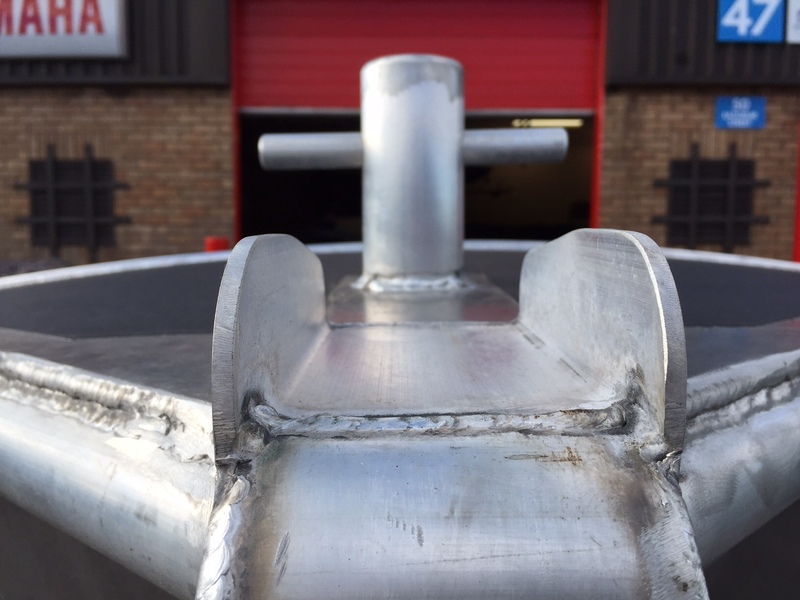 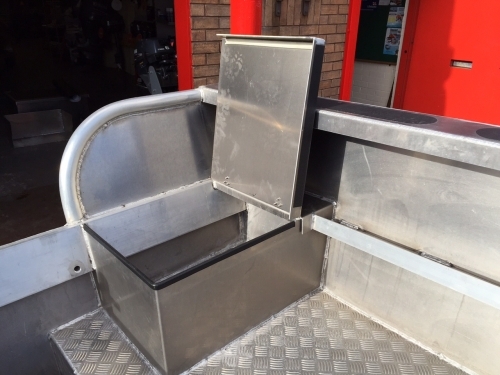 15`4″ Work / Fishing boat in 5mm 5083 Marine grade aluminium, Max Power 40hp tiller, 75hp Remote, centre console. 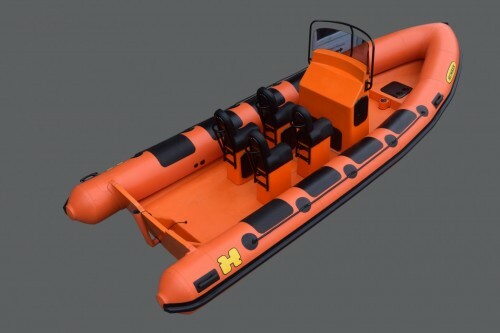 60hp giving an impressive top speed of 30+ Knots. Sealed self draining deck, 5″ flat gunwale provides strength and rigidity. 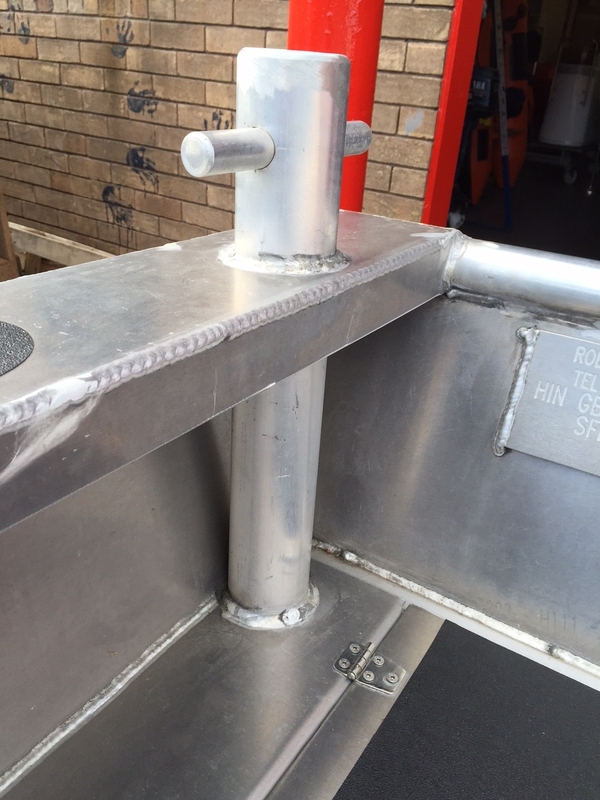 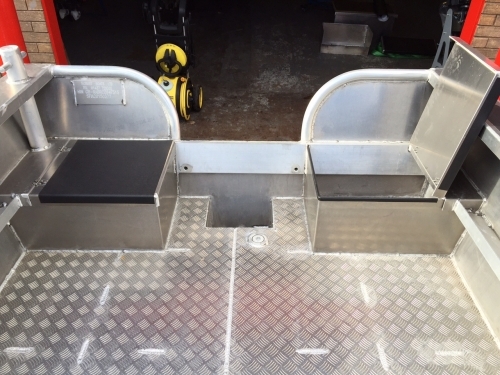 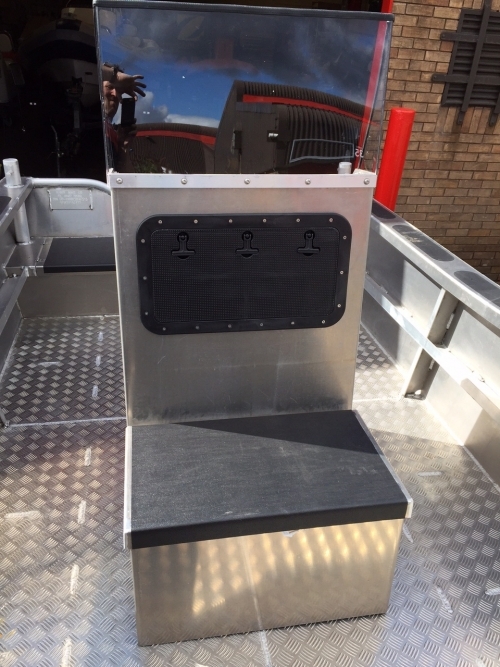 Aft side seats / storage and heavy duty Samson posts are now standard. 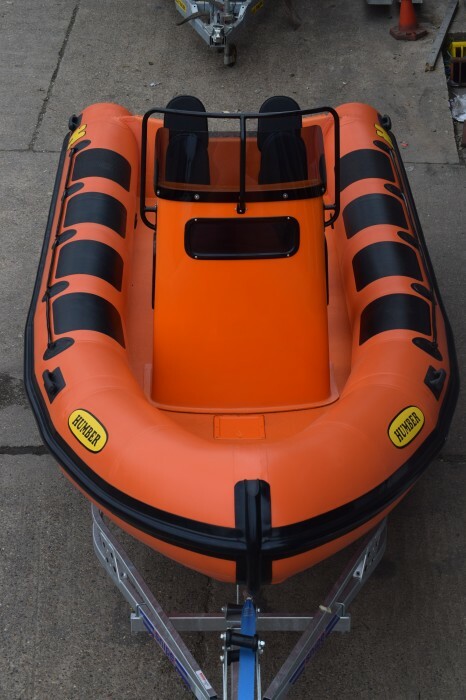 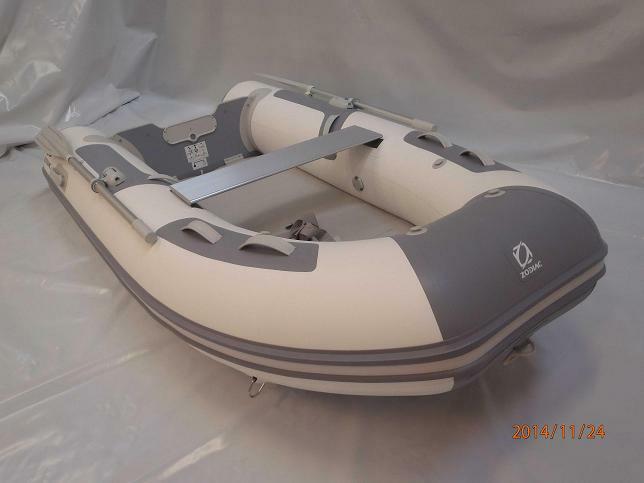 This seriously tough boat is available as a bare boat with a tiller engine or as a remote control with console, seat and extra storage, to see this boat is a must.